Our customizable letterpress notebooks are hand-crafted using the finest quality materials—even our paper is made right here in America. Your custom letterpress notebooks feature your logo and/or text on the front and back covers, and include 48 pages of note paper on the inside (choose from blank, grid or lined paper). The notebooks are staple saddle stitched and ready to impress your employees, clients, friends, or secret agents. We don’t require a minimum quantity, but we do offer volume discounts and flat-rate shipping anywhere in the US. 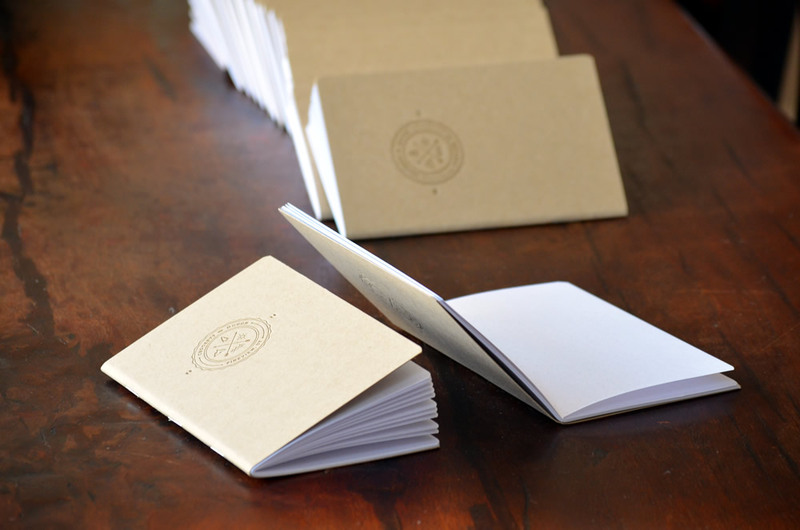 Click here to get custom letterpress notebooks.